Hasan Minhaj wife Beena Patel: what is she prominent for? Hasan Minhaj has a lot of talents: he is a comedian, producer, TV host, actor and political commentator. He also has an awesome wife who is always by his side to support him. This article will focus on her rather than her famous husband. Who is Beena Patel, Hasan Minhaj wife, and what are her talents? Find out exciting facts about the lady below! Even though is a famous man's wife, it does not underestimate her own achievements and career growth. She is a fascinating person who also had moments of fame, even if they were not as prominent as her husband's. Hasan Minhaj became well-known for his work on the Daily Show with Trevor Noah as a Senior Correspondent – he has been involved in this show ever since November 2014. In 2017, he gave an at the White House Correspondents' Dinner, where he roasted President Donald Trump and other politicians. This speech became one of the career highlights for Hasan, and since then a lot of fans became curious to learn about his private life as well. Hasan Minhaj and wife are widely considered to be couple goals. Whenever the comedian appears in public with his , the eyes are always on them. Beena Minhaj and Hasan know how to hold the public's interest. Today we will dig deeper into Beena Minhaj's professional and personal life, and learn who this lovely woman is. Who is Beena Patel and what does she do for a living? A lot of people consider Beena Minhaj Hasan's one true love, and it is a well-known fact that the comedian cannot live without his beloved woman. However, except for supporting her husband, she has many other hobbies and occupations. She is a private person compared to her famous husband and does not flaunt her rich life on social media as some celebrity wives do. Still, some things about her are a piece of public knowledge, and we managed to gather some interesting facts that are less known about this woman. So, if you always wanted to learn more about Beena Patel, this is your chance. The gorgeous lady was born in the United States. Her exact age is unknown, as she never made her birth date public. However, her husband Hasan Minhaj was born on September 23rd 1985 and is now 33 years old. Since they were college sweethearts, it is safe to assume that Beena is close in age to her husband. Her nationality is American, but she originates from the Southern Asian region, more precisely India. She comes from a Hindu family and practices the Hinduism religion. She often implements a lot of elements from this culture in her daily life. Beena Patel completed high school in 2003 and moved on to higher education. She chose the University of California, Davis as her alma mater, and she picked neurobiology, psychology and physiology as her majors. Four years later, in 2007, she successfully graduated with a Bachelor degree in these fields. Next year, she added a Master's degree from the same university to her educational honours, which was in the Public Health field. However, this did not stop Beena's personal development: she also went on a quest for Doctor's degree at the University of California, Los Angeles. Throughout her UCLA years, she was very active and got involved in a lot of medical events which were organised by different healthcare establishments. Because of her activity, Beena received a prestigious award of Roemer when she graduated from university in 2013. Today, Beena Patel has an impressive LinkedIn profile. When she was at the very beginning of her professional career, the lady worked at the Californian company "Retinal Consultants" as a clinical research manager. At that time, she was also employed for some of the best medical companies, such as Lucentis. Some other jobs that Beena performed throughout her career were at the CAVE Consulting Group and UCLA Center for Health Policy Research, where she was a medical director. She was a practice management consultant at the MedAmerica company for more than five years. This woman contributed a lot to the health sector, and for this, she was offered a respectable promotion to the transformation consultant by MedAmerica in 2017. Beena still proudly holds this position and helps people on a daily basis. Beena actively researches the improvements of healthcare quality and thrives on implementing various innovations to make the experience of patients more pleasant. She is also involved in the charity work which is directed at helping homeless people – she gives them special healthcare service. Even though Beena Patel-Minhaj is not a celebrity like her husband, she has a lot of skills and experience in one of the noblest fields, which is medicine. She also seems like a kindhearted woman whose life objective is to help others. Beena was a on her husband Hasan's entire life and career. The two lovebirds met at the University of California, Davis during their studies. Hasan knew he was attracted to Beena the minute he noticed her. They later became close friends and eventually began a romantic relationship. However, due to Hindu customs, Beena decided not to move in with his husband until they got officially married. When they finally got their own apartment in New York, Beena was the one who was responsible for its decoration, which shows that she has a lot of completely different talents. Their apartment was not very expensive, but they filled it with the sense of home and hospitality. Both Hasan and Beena grew up in small towns. When they moved to New York from Los Angeles, they thought it would be awesome to have an incredible city view from the apartment, that would feel like a video game. They were searching for their desired home for a long time until they finally found it. The current place that they live in was chosen by Beena, who thought that they could watch the Hudson River flow from the west side. In her opinion, it would be very relaxing, peaceful and calm to see the water when they come home, especially when the sun goes down. Hasan admitted that before he met Beena, he was a guy with low bachelor needs and "Scarface" photos on his walls. Now, the wall of their apartment is full of adorable pictures from their engagement and wedding ceremony. The comedian also confessed that Beena helped him get used to a lot of little things that make life more comfortable, including throw pillows and scented candles. 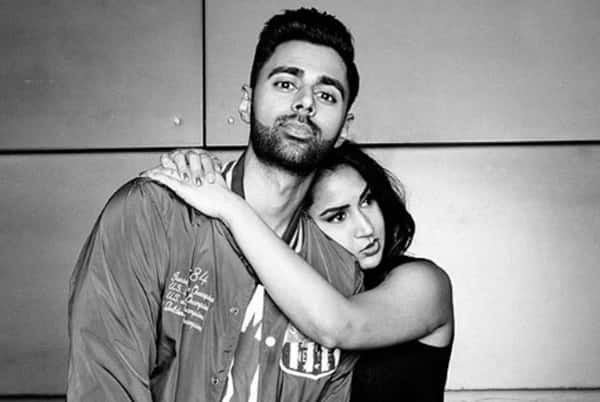 A lot of Hasan's admirers consider him and Beena to be relationship goals. Even though the medical practitioner has a tight schedule, sometimes she still finds time to accompany Hasan to various social and red carpet events, and it shows how supportive she is towards the love of her life. She is usually quiet on social media, as she dedicates all her energy to work and family. However, Beena can sometimes be seen in Hasan's Instagram photos, and it is clear that he appreciates and values her a lot. April 22nd, 2018 was a happy day for Hasan and Beena – they became parents for the first time to a bouncing baby girl. Her name is still being kept secret, but Hasan seemed incredibly happy to become a father on Instagram as he shared the adorable photo of baby's little feet. Beena Patel is a confident woman who deserves a lot of praise for her lifelong achievements. Hasan Minhaj is undoubtedly one lucky man for having her.